Happy 448 birthday, William Shakespeare! Four centuries after he wrote them, the works of William Shakespeare continue to entertain and intrigue audiences around the world. Shakespeare’s genius permanently shaped the English language, while his knowledge of the human mind and heart speaks to us across the years. Love him or hate him, it is no question that he remains one of the most influential writers in the English language. Those who know me know I am a little in love with Mr. William Shakespeare. 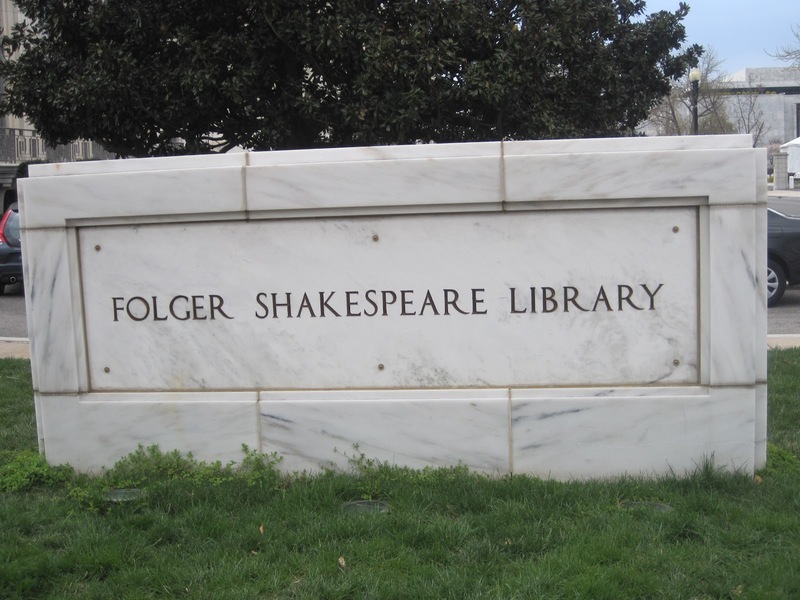 I was lucky enough to be in DC last year and spent a luxurious amount of time in the Folger Shakespeare Library. I had hoped to go back this year for William’s birthday celebration but alas! I am burdened with responsibilities! 1. Nobody knows Shakespeare’s actual birthday. Scholars think he was born on April 23, 1564, three days before his baptism was recorded at a church in Stratford, England. Strangely enough, his death in 1616 also occurred on April 23. 3. Shakespeare applied to the College of Heralds for a coat of arms for his father. A coat of arms was a symbol of higher rank in British society. The Shakespeare family’s coat of arms has a spear in the middle and a falcon on top. Shakespeare inherited the coat of arms when his father died and was then permitted to call himself a gentleman. 4. Shakespeare and his wife, Anne Hathaway, had three children: Susanna and twins Judith and Hamnet. The twins were named after neighbors who named their son William. Although Hamnet died at age 11, his name lives on: It was sometimes written as Hamlet, the title of one of his father’s greatest characters and plays. Shakespeare’s last descendant, a granddaughter, died in 1670. 6. Shakespeare is the most translated author ever. His work is read in at least 80 languages, including Chinese, Italian, Armenian, Bengali, Tagalog, Uzbek and Krio (spoken by freed slaves in Sierra Leone). 7. Shakespeare is thought to have written 39 plays. About half were printed in small booklets before his death. But some of his most famous works, including Macbeth and Julius Caesar, were not printed in his lifetime. They would not have been handed down to us had not two men in Shakespeare’s acting company—John Heminge and Henry Condell— printed 36 of his plays in a book called the First Folio. 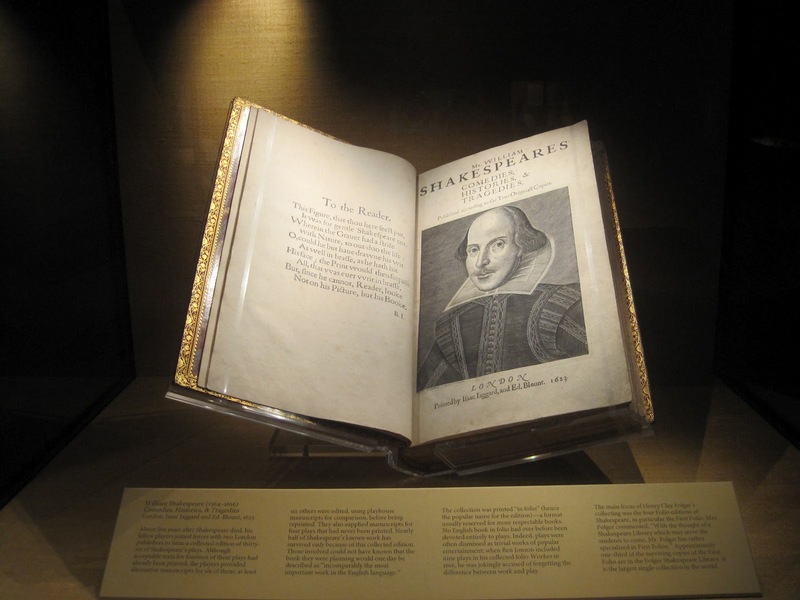 When the book was published in 1623, seven years after Shakespeare’s death, it sold for 1 British pound (several hundred dollars in today’s money). One sold in 2006 for nearly $5 million. 8. While most people regularly use about 2,000 words, Shakespeare used more than 25,000 in his writing. 9. If you do a Google search on “Shakespeare,” you get more than 44 million results. 10. Did Shakespeare really write Shakespeare? Some people think that other authors wrote the works credited to him. This is a debate that likely will continue. Originally appeared in “10 Ways To Be Or Not To Be A Shakespeare Expert” in the Washington Post by Ellen Edwards. Who doesn’t love Shakespearean insults? Click here to generate your own! 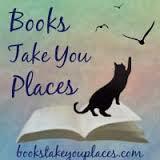 Let’s not forget about those book to movie adaptations! Personally, Shakespeare in Love was my favorite though I know many who would argue that Romeo and Juliet starring a young Leo is the best. What we have all agreed on thus far however is that the newest movie to bring the bard to the big screen was a big ‘ol flop and had me throwing popcorn at the screen! Anonymous, you remain a thorn in my side and frankly I want those two hours of my life back. Now it is nearly impossible to talk about Shakespearean films without talking about Kenneth Branagh (yes, I do mean Gilderoy Lockhart for those Harry Potter fans.) He is a master and his adaptations are probably my favorite Shakespearean films ever! Want to learn more about William Shakespeare? Check out this amazing Wiki filled to the brim with all things Shakespeare! How are you celebrating the Bard’s birthday? This entry was posted in Miscellaneous and tagged William Shakespeare. Bookmark the permalink. I love Shakespeare in Love! AND R&J which I made my boyfriend watch about a week ago because he'd never seen it and I was horrified. I still rock that soundtrack all of the time. Great fun post, Alyssa! Thanks for the fun facts!!! 🙂 I’m not a huge Shakespeare fan (mostly because, like all classic lit, it was forced on me at school) but I totally think I could be now that I’m older and wiser and have a better appreciation for literature 🙂 Maybe I should start to read some more Shakespeare when the pressure’s not on for a grade!